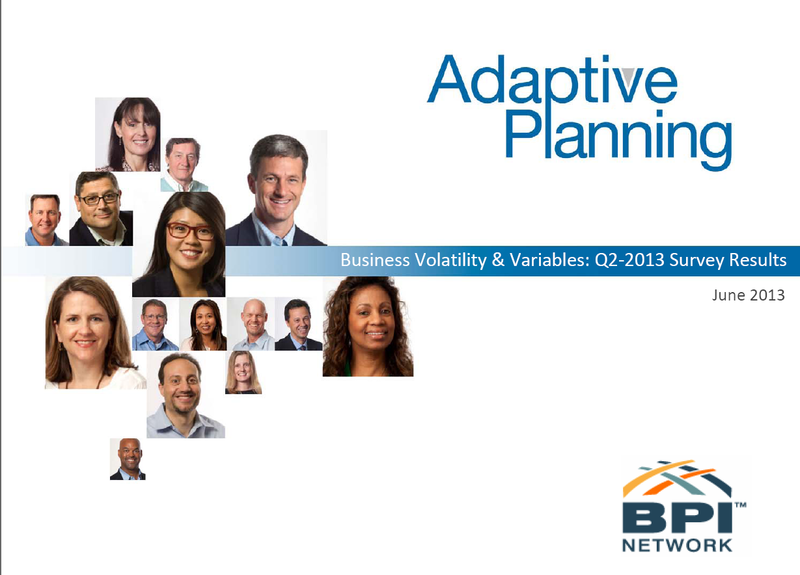 Earlier this week we released the results of the Q2 2013 Adaptive Planning and BPI Network Business Volatility and Variables Poll, which gauged the economic outlook and concerns of over 300 U.S. CFOs. One of many notable findings? Finance professionals have a new chief concern: Obamacare. With two new waves of nation-wide healthcare regulations set take effect by January 1, 2014, as part of the Patient Protection and Affordable Care Act, 56 percent of those surveyed said they were concerned about healthcare reform. Even with the heightened healthcare apprehension, CFOs are reasonably optimistic about our nation’s economic future. But it’s clear that significant growth will require patience. CFOs still relatively upbeat about current, future economic conditions. – 81% say their industry’s current economic conditions are the same or better than they were six months ago. – 82% think the economy will stay the same or improve within the next six months. Some lag in optimism for significant and sustained job growth. – 65% think we won’t see significant and sustained job growth until 2014 or beyond. – 19% think we are already experiencing significant and sustained job growth. Also significant – 32 percent described their current level of economic uncertainty as “high” or “very high.” That figure was up at 59 percent when we conducted our last poll during Q3 2012. The decreased levels of uncertainty have not, however, discouraged CFOs from re-planning, re-forecasting, or conducting what-if analyses. In fact, 44 percent said they expect to increase their frequency of all of the above in the coming quarter. And according to recent KPMG LLP and Gartner surveys, CFOs plan to invest in Business Intelligence (BI) and analytics technology through 2014 in order to enhance their management reporting and analytical systems, as well as their business planning and forecasting tools, perhaps in an effort to become more agile. You can find a full summary of the report’s findings here. Talk to Us: Do our poll results reflect the state of your business? Are you concerned about healthcare reform in the coming year? How often do you re-plan or re-forecast per quarter? Continue the conversation by tweeting your feedback to @Adaptiveplans, or share your thoughts on Facebook, LinkedIn, or on the “Addicted to Adaptive” blog.